End user license agreeements are “those Agreements as a result of which the Licensee, purchaser of the License or user, receives from the Licensor the right to use the programs under the terms agreed“ (Aparicio 2004). Software licenses first appeared in the United States of America. Translated into Spanish by the Licensor, and made available directly to users of the licensed software, these licensing agreements have now been incorporated into Spanish law. In legal translation – in particular when translating end user license agreeements where the specificity of the cultural elements involved can lead to recurrent breakdowns in communication – an interpretative-communicative approach must be used, one in which the translator takes into consideration all the elements that directly impinge upon the decision-making process in translation, i.e., the client; target audience; legal or cultural context; legal requirements enforceable by law, etc. In practice, licensing agreements are translated as part of the process of localisation itself, i.e. semi-automatically. As a result, licensing agreements translated into Spanish neither reflect the spirit of the law underlying the source text, nor do they comply with the specific requirements of Spanish law. Although documents exist in Spanish which could serve as licensing agreements, these cannot be used in the case of software licenses because they do not conform to the principles of the common law system, a legal system which is very different from the Spanish civil law system. The resources this research project proposes to develop are thus both innovative and of specific interest to the community of translators, the legal profession, and software localisation companies alike. 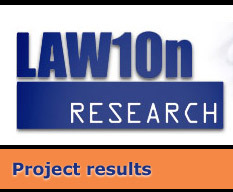 The aim of this study is to analyse all the relevant aspects of the translation of software licensing agreements and to propose models of translation which, on the one hand, fulfil the requirements of Spanish law, and, on the other, remain faithful to the spirit and legal effects of the source text. Not only will our study contribute to improving the quality of this particular type of text but it will also contribute to improve legal translations in general, the discipline of legal translation, and the use of Spanish legal terminology, currently undergoing marked changes as a result of the increase in this type of translations. - Translation resources: models of clauses for use in software licensing agreements in Spanish, commented and adapted to different communicative contexts, that have the same legal effects in Spanish law as the English-language source text has in the common law system. These resources will serve as references for translators and software localisation companies. - Terminology resources: a commented terminology database of terms exclusive to end user license agreeements. - Information resources: access to legal sources of software licensing as referents for translation purposes and for consultation as a means to solving problems of comprehension. Before developing these resources, in the first phase of our research, a detailed study will be made of the localisation of on-line licensing agreements. This will be done by working with the agents involved in the localisation of agreements to make them more sensitive to the problems of translation and to detect ways in which localisation may be improved. An English-Spanish bilingual corpus of translations will be created and analysed to evidence the legal implications of current translations and demonstrate the need to take into account the legal system of the target text. Stage 1. Analysis of the bilingual corpus (September 2010-February 2011). Stage 2. Analysis of the localisation process (September 2010-February 2011). Stage 3. Development of translated models of licensing agreements (March 2010-October 2011). Stage 4. Development of legal resources (comments and documentation) (March 2011-October 2011). Stage 5. Development of documentary and terminological resources (October 2011-February 2012). Stage 6. Development of the web-based tool (September 2010-September 2013). Stage 7. Evaluation and improvement of the developed resources (September 2012-March 2013). Stage 8. Publication of the results (September 2012-March 2013).